Why protect yourself from cell phone radiation? Mobile phones are the main source of exposure among other everyday devices (cordless phone DECT, Wi-Fi box, PC, pad, mobile phone, micro-wave oven, Bluetooth, etc.). They continuously emit the highest amount of electromagnetic waves, close to the body and brain. SAR (Specific Absorption Rate) is the international standard that quantifies the maximum quantity of energy absorbed by your body and head when using a telephone. SAR measurements “in contact with a body” are actually carried out with a separation distance, that does not reflect actual use conditions. That is why mobile phone’s user guides specify that a separation distance between the body and the phone should be kept (between 0.5 cm and 2.5 cm according to a phone model). The Specific Absorption Rate (SAR) of your mobile phone is the internationally recognised measure of your maximum exposure to electromagnetic radiation. This measure indicates the amount of energy that your body and your head absorb when using your handset. The European standard imposes a SAR level that is inferior to 2 Watts per Kilogram (W/Kg). You can therefore choose your mobile phone based on the level of SAR of that particular model. The lower the SAR, the lower your level of exposure to radiation. • Extra slim, transparent patch • Printed circuit with a silver finish • Delivered in a box with a positioning case specially conceived for your mobile. • Extra slim, transparent patch • Printed circuit strands with a gold plated finish • Delivered in a box with a positioning case specially conceived for your mobile. 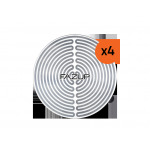 Contains 4 Fazup Silver patches as well as the positioning tool adapted to all of our compatible models of mobile phones. Reliable and very effective, Fazup is a revolutionary product resulting from 10 years of intensive research. Globally patented, this new technology created in France produces outstanding results. 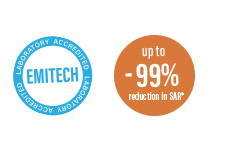 Its performances have been tested and validated by EMITECH, a French laboratory certified by COFRAC** for the measurement of SAR*. In order to ensure the optimal performance as certified in laboratory conditions, Fazup must be placed in a specific location at the back of your mobile, in accordance with an exclusive placement system which is specific to each compatible mobile phone. All our accessories are compatible with Fazup technology ! Choose your design or create your own unique style! Fazup offers you numerous models to choose from or alternatively, we can produce a case with the images and texts of your choice. You will surely find a design that suits you! Your covers may be reused and interchanged indefinitely. Bring out your style ! The resin dome will enhance your personalised choice by giving it depth and a slight looking glass appearance ! Fazup strongly advises against the use of non-compatible accessories that may cancel its protective effects and even increase the SAR* of your mobile phone (metallic cases especially). Communicating with Fazup feels good. You seek a corporate gift that is both useful, original and desirable? 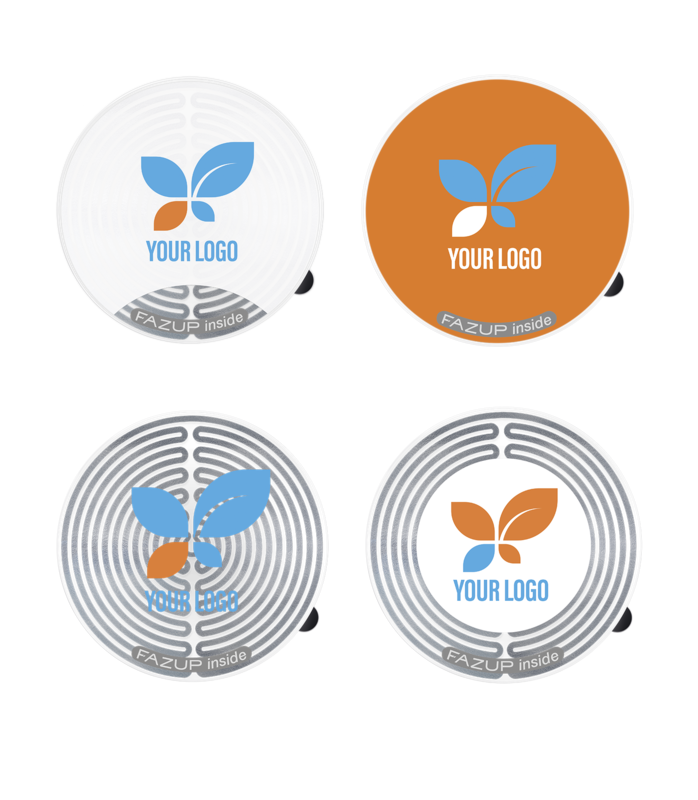 A promotional object that is both discrete and durable? When offering FAZUP, you offer someone much more than just an accessory because you enable your colleagues, clients and employees to protect themselves against electromagnetic radiation…. A gift that is both smart and useful and that will be well appreciated and used for a long time! Directive 2013/35/EU is applicable in Europe since 1 January 2017 and it concerns every company. It aims to reduce as much as possible the exposure of employees to electromagnetic radiation. Beyond our numerous scientific tests confirming the reduction of mobile radiation, we wanted to understand the impact of this reduction on the well-being of smartphone users. We therefore conducted an independent consumer test on 1000 people, which has shown both impressive and worrying results. 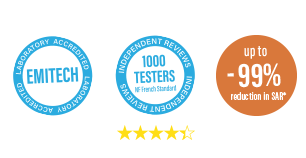 (French standard guaranteeing independence and accuracy of collected reviews). I dont know if it is a coincidence, but since I have Fazup my headaches don’t bother me anymore… therefore I recommend it without a doubt!!! Moreover, my ear is not heating as intensively during long conversations. For the last few years I have had a smartphone I had noticed that I often had headaches and that at night I was waking up several times… And since I have been using Fazup, practically no more headaches, and I sleep much better!!! Therefore, I am very satisfied with this product. To me it is a miracle! Honestly, I experienced a real change on several levels. The most important is that I, who have regular epileptic crises (medically proven caused by the cellphone), haven't had a single one for 5 days! I keep my fingers crossed… Moreover, my ear is not heating anymore and my internal ear is not bothering me neither. I sincerely recommend it, this product changed my life! Great product, no more headaches, no more waking up in the middle of the night, no more ear heating, super thank you!!!!!!! Thank you Fazup my ears and my head feel much better! Easy to apply, very ergonomic. I recommend! Check out our answers to the most frequently asked questions. Anti spam: how much is 8 + 7 ? In order to better understand your needs, and to offer you the best protection, please take part in our surveys and share with us your experiences ! Anti spam : how much is 8 + 7 ? 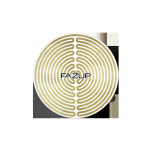 Fazup is a limited company based in Switzerland, in the Canton of Jura. Fazup specialises in the protection of persons against electromagnetic radiation. Given the uncertainty surrounding the potential health hazards associated with wireless technology, Fazup provides a precautionary protection against such radiation while awaiting a clear, unanimous and unambiguous clarification of this major health issue. 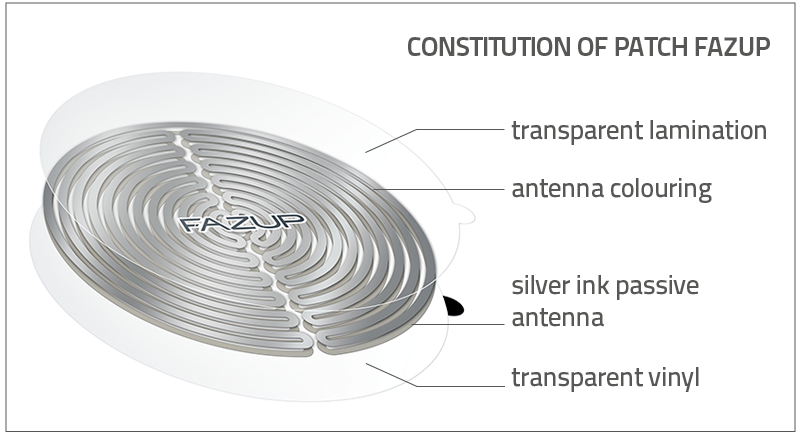 The objective of Fazup is to become the international market leader for protection against electromagnetic radiation thanks to the quality of its technological innovations. Fazup is also committed to informing the public and the professionals about the risks of environmental pollution, especially due to non-ionised radiation. Fazup continues to focus on research and development to extend its range of products in order to protect against most common sources of electromagnetic radiation to which we are regularly exposed. Fazup is proud to be able to protect you today from radiation from your mobile phone, and tomorrow from many other types of devices. Fazup is a product that makes sense! If you are a journalist or media representative, you will be aware that the effect of radiation on our health is a very pressing current issue. Raise awareness among your readers to the benefits of taking precautionary steps of protection and spread the word about Fazup ! You can contact us for further information, obtain our press releases and get access to our portfolio of images as well as receive samples of our products. You manage one or several websites or possess a large list of email addresses. Like us, you are convinced that Fazup makes sense and responds to a universal need. You would like to introduce your clients, your community and your network to Fazup. You would like to monetise your web traffic efficiently and to differentiate yourself with a unique and essential product. Contact us to find out about our affiliation offers. You are a company or an association that would like to benefit from preferential tariffs to equip your associates, employees etc…. You wish to evaluate your professional environment and the exposure of your employees to electromagnetic radiation. You wish to reduce the electromagnetic radiation in your workplace and to obtain a solution that is adapted to your needs. You are an advertising executive or you specialise in corporate events and gifts. You are a client looking for an original and useful present. - You will provide protection for your clients who will be grateful for such a gift. - Your brand will be visible on an object that is personal, frequently used and, usually unattainable – the mobile phone. - Fazup provides you with a communication tool that is of high quality at a very competitive price. - Fazup offers you unlimited personalisation of its products – patches, covers, packaging, instruction notices, accessories. Discover the unlimited possibilities of Fazup for your promotional materials and corporate gifts. Contact us. Sign up to our sponsorship program, recommend us and benefit from promotions and exclusive offers depending on your level of sponsorship. The greater the recommendations, the more ‘advantage’ points won. The acquired points are cumulative with our «Fidelity » offer. The persons that you’ll introduce to us will benefit from an immediate reduction of 1 euro for a minimum order of €34,90 and you will benefit of 1 point for every €10 purchased by the persons you’ve introduced to Fazup. Sign up to our loyalty programme, we know how to reward our best customers! You are a good client and you expect some benefits? That’s normal! You will benefit from reductions, gifts, exclusive offers…. You will automatically suscribe to our loyalty programme after having created an account with Fazup and bought a product on Fazup.com. Fazup is the ideal gift! Useful, durable and affordable, this present will be greatly appreciated. Furthermore, people will be reminded of you each time they see their Fazup on their mobile! You could also personalise your gift by adding a custom made case or cover. We also offer a personalised card and a gift wrap. We can deliver to the address of your choice. Our service includes all or part of delivery costs and the custom charges as well as the administrative costs related to your order. The tariffs proposed on our website for all articles include delivery. Where possible, depending on demand, we commit to delivering within 48 hours following the confirmation of your order. With PayPal your payment is secure, quick and easy. You can buy your Fazup patch and its accessories with a few clicks…. While protecting your banking details. If you do not have a PayPal account, you can very easily complete a PayPal form. - You avoid the need to disclose your banking information to the various commercial websites where the level of security is not optimal. The less you disclose your banking information, the lower your risk of fraud. - Should you fail to receive you purchase, PayPal will reimburse you the full amount of your purchase including delivery fees. This is a free international guarantee. - Payments via PayPal are free and instantaneous. - PayPal is used by 200 million buyers around the world, 100 000 new users every day, with 50 million dollars passing through the site every day. You wish to find Fazup near you or to install Fazup directly on your mobile by a specialist ? Select your country, enter your postal code and discover our resellers and specialised installers. If you are interested in distributing Fazup products in your retail outlet or online website, contact us. The Fazup technology is patented. Fazup is a registered trademark. All rights reserved. Reproduction is prohibited. Photos and images are non contractual.